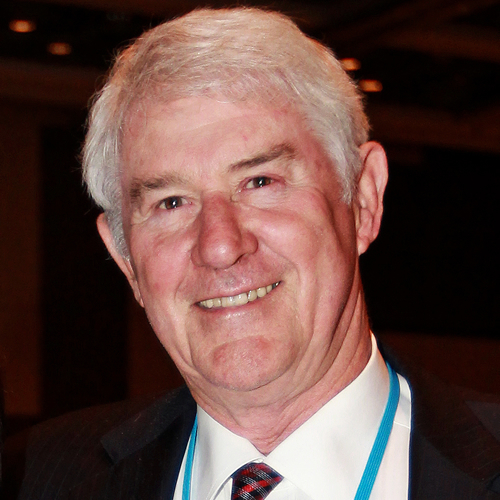 Bob Cronin has been a journalist for more than 50 years and in 2011 was made a member of the Order of Australia (AM) for his services to the print media and the community. In 2014, he won a Walkley Award for journalistic leadership. Throughout his career he has been a fierce defender of Freedom of the Press and freedom of speech. He grew up in Queensland, where he represented The Associated Schools in rugby union and cricket and played rugby league in Brisbane before moving to Sydney in 1966. He has worked for seven newspapers in Australia. He was editor of four, including Australia’s biggest selling daily, the Melbourne Sun (now the Herald and Sun) and The West Australian. He was deputy editor of two others and between 2003 and 2008 he was general manager, senior editorial adviser and a director of the Shanghai Daily Press Development Company in the People’s Republic of China. In Bob’s own words, he was ‘recycled” as group editor in chief of West Australian Newspapers after the Kerry Stokes takeover in 2008 and retired in December 2016. He was previously Editor-in-Chief of West Australian Newspapers (1987-96), Editor of The Sun in Melbourne (1985-86), Deputy Editor of the Courier-Mail in Brisbane (1984), Editor of the Border Mail in Albury (1974-82) and Deputy Editor of the Sunday Press in Melbourne (1974). He was a member of the Australian Press Council from 1987-96 and again from 2009 to 2012. In the early 80s, he was chairman of the NSW Government’s Murray Region Industry Development Board. He was a founding director of Information Radio (radio for the print handicapped) in Perth in 1991. He is a former Chairman of Oz Concert Inc, a former member of the council of Celebrate WA, a former governor of the WA Museum Foundation and a former director of Scitech. He was also a committee member of Project Employ Youth which found jobs for 1,000 young West Australians during the recession of the 1990s. In 1998 he was awarded the Ethnic Communities Council Award for outstanding contribution to multiculturalism in Western Australia. In 2002 he was appointed to the board of SBS and served on the board until June 2012 (the rules set a maximum of 10 years). He is a director/trustee of the Bravery Trust which provides assistance to incapacitated current and former members of the Australian Defence Force and the families of deceased and incapacitated members. He is a director of the children’s charity Toybox International and a former member of the Minister’s Advisory Committee Office for Multicultural Interests WA. Bob is also a first class speaker whose presentations on the following topics will motivate, inspire and inform any audience. Political correctness and free speech. Life and times of a journalist.